The new and ultra-modern Piaggio i-Get engine now equips the youngest Vespa versions: optimised performance, lower operating costs, extremely quiet and efficient. Vespa Primavera and Vespa Sprint also boast a generous equipment package and an ABS braking system. Once again, Vespa confirms its technological cutting-edge, which has always distinguished it and left its mark on history, proving to be one of the most modern and safest vehicles in the world. Introducing the new versions of Vespa Primavera and Vespa Sprint, the two Vespa “small bodies” which are heirs to the legendary “Vespino” that charmed and transported entire generations of young people all over the world in the ’60s. 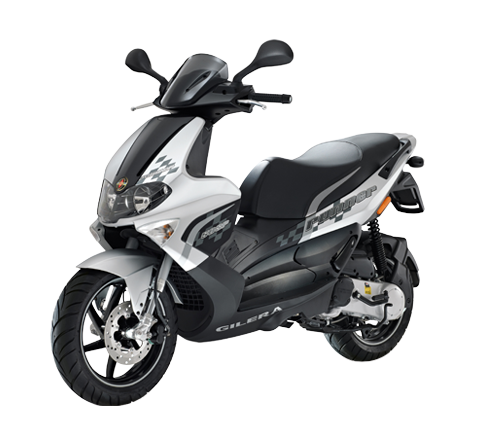 They stand out for their more generous equipment package that includes a very handy USB socket, located inside the leg shield back plate compartment, and the availability of the ABS braking system, standard on the Vespa Sprint. The most important innovation comes in the form of the new Piaggio i-Get Euro4 powerplant, capable of ensuring brilliant performance, contained consumption and extremely high overall efficiency. On Vespa Primavera and Vespa Sprint, in the 125 and 150 cc engine capacity versions, the Piaggio i-Get family makes its first appearance, representing the cutting-edge of their respective engine size segments. 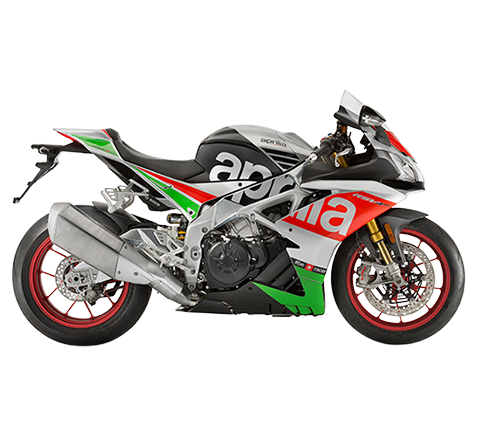 The new Piaggio i-Get powerplants are the result of a design philosophy that sets new and more advanced quality and reliability levels as its primary objectives. Every aspect of the design process was aimed at increasing the efficiency of each individual component, thereby working together to maximise performance and, at the same time, minimise consumption and emissions (not only polluting emissions but also sound emissions). More than one million kilometres which have already been ridden during the testing phase are a testament to the attention to quality and reliability in the development process of the new i-Get engines which, thanks to the modular nature of the project, can be provided in liquid or air cooled versions with 3 or 4 valve timing. 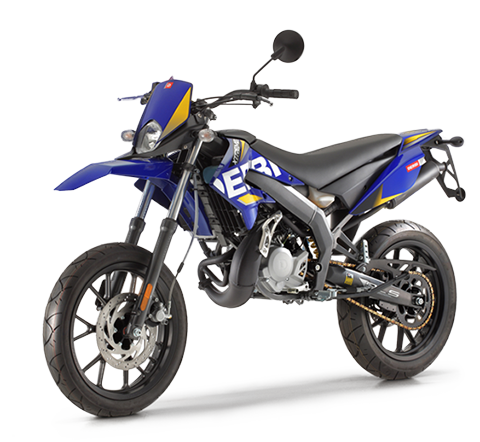 These engines are extremely environmentally friendly since they are approved in compliance with the Euro4 Multi-Directive, and they are capable of performance which is, as always, at the top of the category: the i-Get 125 cc has maximum power and torque that measure in respectively at 7.9 kW at 7,700 rpm and 10.4 Nm at 6,000 rpm, whereas the 150 cc reaches 9.5 kW maximum power at 7,750 rpm and 12.8 Nm maximum torque at 6,500. These are values that, along with the proverbial light weight typical of all Vespas, make this Vespa “small body” particularly quick both in city traffic and on stretches of open road. A perfectly calibrated gearbox with new and more resistant friction materials for the dry centrifugal automatic clutch contributes to this result. This brilliant performance is combined with fuel consumption values that are reduced to a minimum: the particular architecture of the engine and the solutions adopted for the various components makes 45.5 km/l possible for the 125 and 41 km/l for the 150 measured in the WMTC cycle. Thanks to a spacious, 8 litre fuel tank, Vespa Primavera and Vespa Sprint now boast a highly respectable travel range: 364 km can be covered with a full tank on the 125 cc and 328 km with the 150 cc. On Vespa Sprint and on the Primavera Settantesimo version, the ABS antilock braking now comes standard, a further technical advancement intended to increase safety. The locking up of the front wheel during intense braking or due to slippery asphalt is generally the most significant hazard for motorbike and scooter riders and passengers. The adoption of the ABS antilock braking system is triggered precisely to prevent this danger, making the ride pleasant and safe. The front wheel has a revolution detection system – a sensor and a tone wheel – which instantly reads the speed and deceleration of the wheel with respect to that of the vehicle. The sensor dialogues with an electro hydraulic control unit which activates the ABS system if the wheel decelerates abruptly, preventing locking and the consequent loss of control over the vehicle, thereby guaranteeing stability, vehicle control and efficient braking even on low friction coefficient surfaces such as wet or dirty asphalt. This sophisticated safety system, developed specifically for the Vespa Primavera and Vespa Spring, can also boast being lightweight, leaving the kerb weight virtually unchanged. The ABS system contributes to raising the already high safety level that the Vespa Primavera and Vespa Sprint guarantee, thanks to their sturdy frame. The painstaking care taken in designing its components has resulted in previously unseen levels of rigidity, but without compromising the weight of the structure. Compared to Vespa LX and Vespa S (the models which Vespa Primavera and Vespa Sprint replaced respectively), the body is 36% more rigid and the longitudinal flexion has increased by an incredible 154%. The advantages are tangible in terms of safety and riding pleasure on the road, where riders will discover a Vespa with dynamic qualities and exceptional stability and handling. Other contributors to road safety are the generous wheel rim sizes on both the Vespa Primavera and Vespa Sprint. 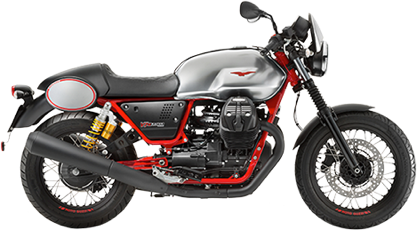 The new Vespa Primavera comes in the 125 and 150 cc engine capacity versions, available in four colour schemes: Rosso Dragon (with beige saddle); Nero Vulcano (with red saddle); Midnight Blue (with beige saddle); and Montebianco (with red saddle). Vespa Primavera is also available in the Touring version, a special equipment package characterised by a front and rear luggage rack, both chromium plated which, as the most classic Vespa iconography shows, considerably increase the cargo capacity and prepare the most beloved scooter in the world for any adventurous voyage. The small engine capacity versions of Vespa Primavera and Vespa Sprint (50 cc 2-stroke and 50 cc 4-stroke with 4-valve timing) also come with the USB socket located in the leg shield back plate compartment. The chrome front and rear luggage racks with laser engraved Vespa logo are also one of the most classic accessories of every Vespa and testify the great traveller spirit that every Vespa has always possessed. 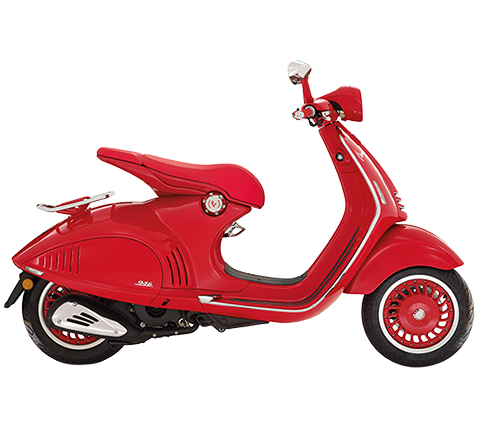 The new Vespa Primavera is no exception. The front, rear and fender chromed perimeter guards add an elegant finishing touch to the vehicle. The accessory line also includes the internal top box bag, the convenient side stand - in black painted steel - which makes easier to park the Primavera, and the outdoor vehicle cover, the indoor one with “big logo” and both with convenient openings to accommodate any accessories and the rubber mat. Available for Vespa Primavera are the electronic anti-theft system and mechanical saddle-handlebar anti-theft system, as well as a range of other customisable mechanical anti-theft systems. Another must-have accessory is the practical and easy to install leg cover providing optimal protection against the weather, thanks to the use of thermal material. The Vespa Primavera cover is characterised by the metal Vespa logo and ensures maximum stability even at high speed. The saddle cover and anti-theft device are integrated in the accessory. The top box bag in natural or black leather and fully hand crafted adds a precious touch to the Vespa Primavera. The top box bag is able to hold a jet helmet with visor and can be mounted on the top box support of the luggage rack. To make your Vespa even more unique, there are also genuine leather “Made in Italy” saddles and exclusive “Elegance” graphics available. Vespa Primavera is created appropriating all the values that made it a success forty-eight years ago in the first Primavera version. In fact, the first Vespa to bear this name made its first appearance in 1968 and was revolutionary: small, agile, powered by a brilliant engine, Primavera placed wings on several generations and was produced without interruption until 1982, not only becoming a legendary model, but also one of the widest commercial successes in Vespa history. Youthful, innovative, technologically groundbreaking, agile and dynamic, with an eye to the protection of the environment, its modern day heir is a star in its own time, inheriting all the freshness and joy of living from its predecessor. 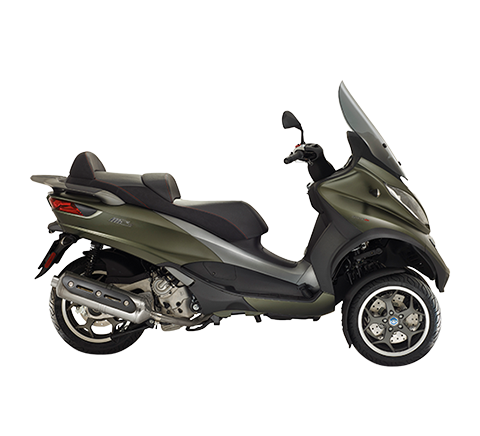 Vespa Primavera was born incorporating some stylistic and technical solutions of the Vespa 946, the most prestigious, expensive and technologically advanced model ever designed in Vespa history. So Vespa Sprint embodies the heritage of a tradition of vitality and youthfulness. It was conceived as an evolution of the Vespa Primavera project and intended for young people of all ages, enhancing the sport style that its legendary name evokes. 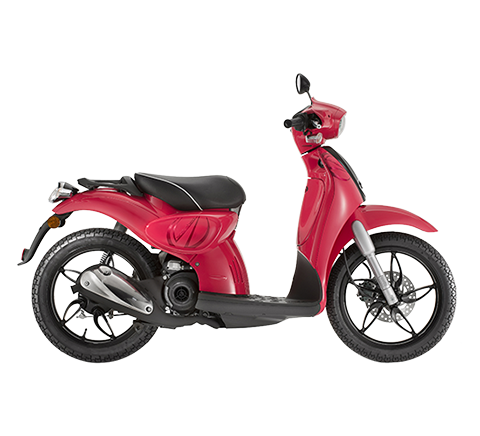 Vespa Sprint boasts a small and lightweight body that is also comfortable and protective, entirely made in steel and characterised by an extremely youthful line, marked by a gritty rectangular headlight. It has large 12” wheels with spectacular aluminium alloy rims and it is powered by one of three ultra-modern and ecological engines.